Uh oh ... Maxwell is none to happy to see Alexis escorted into Wisen World by Gavin. Will the Wise Man's deal with Maxwell hold? Will Gavin be able to keep Rory safe from the Wisens' plans? Does she even need his help? Who is she to him anyway? And where in the WORLDS are James and Christian? Find out when Chapter 4 begins after Christmas. 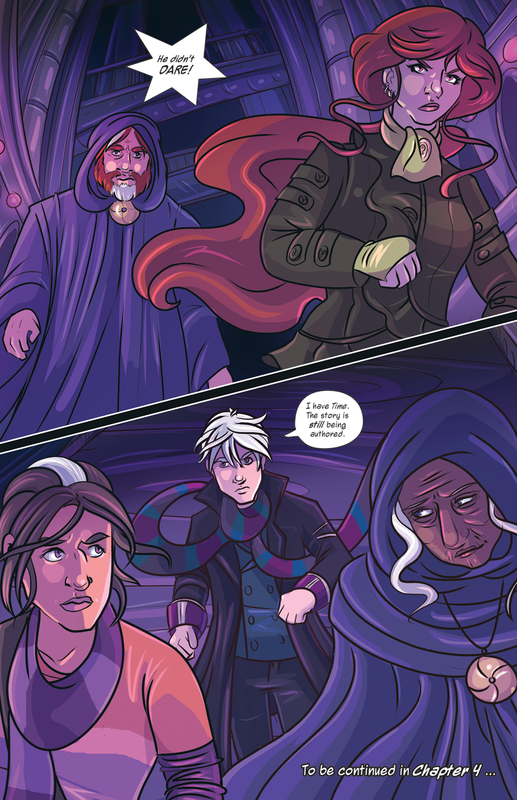 Infinite Spiral is a multiple universe fantasy webcomic by Kristy Cunningham. Enter the Spiral and join Rory and her friends in their quest to save all realities from being unwritten! Infinite Spiral © Kristy Cunningham 2011-2015. Powered by Blogger.